S.E.L.L foundation in collaboration with the Industrial Training fund (ITF), trained thirty six (36) SELL volunteers across the North East and Plateau states of Nigeria. The training workshop was declared opened by the Director Rev. Fr. Patrick Esekon on the 14th March, 2018 with an opening Mass. During his Sermon, Fr. 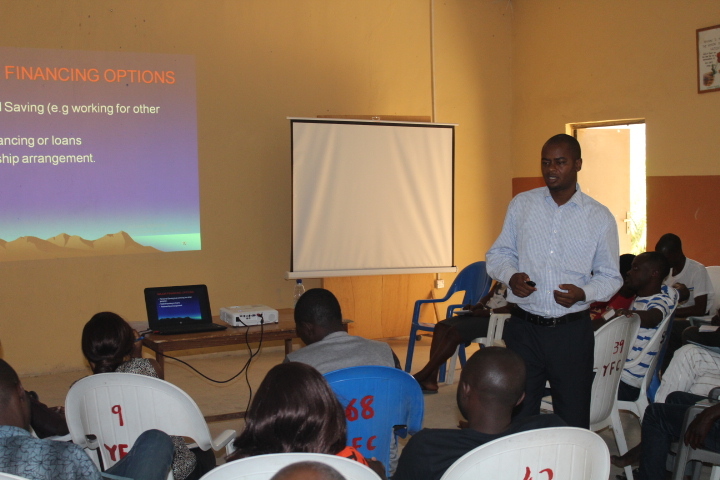 Esekon called on the trainees to remain focused on whatever they are going to learn in the course of the training. Fr. Patrick, who also marked his 5th Priestly anniversary that day, gave a brief history of where he started, to where he is today. He ended his speech by encouraging the young men and women not to relent but to remain focused and embrace the challenges of life and move forward. After the Holy Mass, the moderator of the training, John Jiddere briefly outlined the ground rules and allocated responsibilities to participants. The training focused on different thematic areas in business line as thus: Establishing a new business; How to identify business or services needed in the community; Identifying target group; Availability of raw materials; Sales forecast; Competition among other competitors; Marketing strategy; Sourcing for loan (capital), and input from Development Exchange Centre (DEC) on Bankable business. The training was facilitated by different specialists in entrepreneurship from the Industrial training Fund, ITF and Development Exchange Centre (DEC). Before the first session, participants were taken through a stimulation activity with a video clip titled “POWER OF A COMMUNITY”. 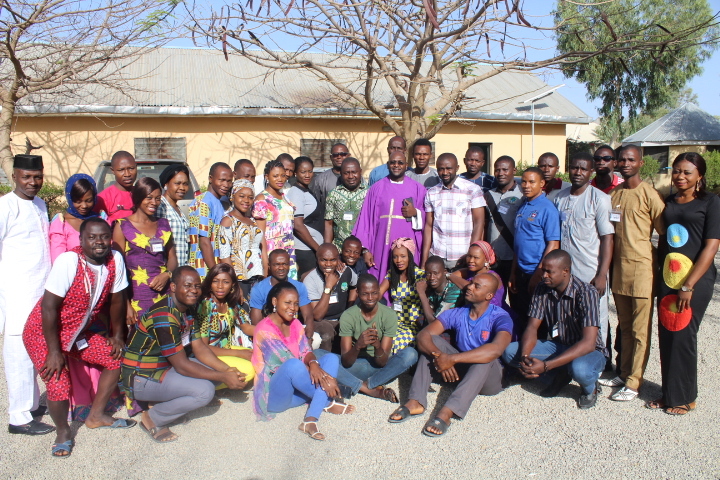 The video was to broaden the mind of the participants to focus on identifying their challenges as a community and to proffer possible solutions. After the video show, they were given a pre-training assessment which was intended to test their previous knowledge on entrepreneurship. The training was conducted in an interactive manner with participants getting the opportunity to engage actively and ask questions. 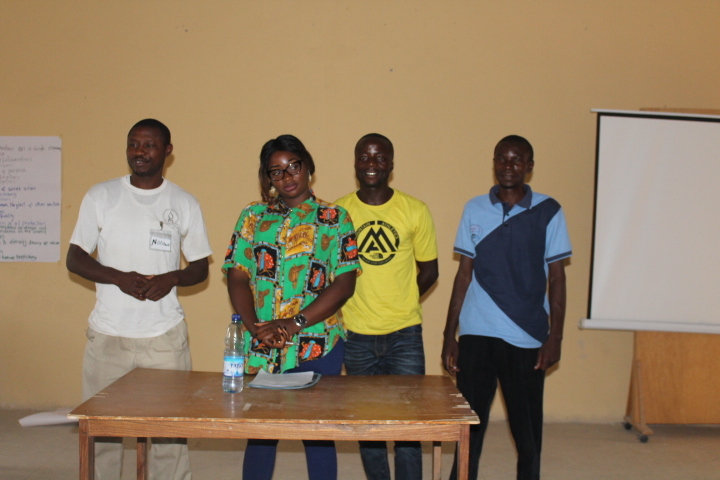 In the end, participants were asked to share on why they wanted to start up a business and how to go about it. Their responses ranged from filling the gaps in their communities, and the need to generate income and become self reliant. This was followed by review of business plans. Mr. Yahaya Abdul who facilitated the last session reviewed the business plans written by communities and gave inputs on Bankable business plan. At the end of the training, participants were given post-training questionnaire to access their level of assimilation and to also determine those who are qualified for certification. 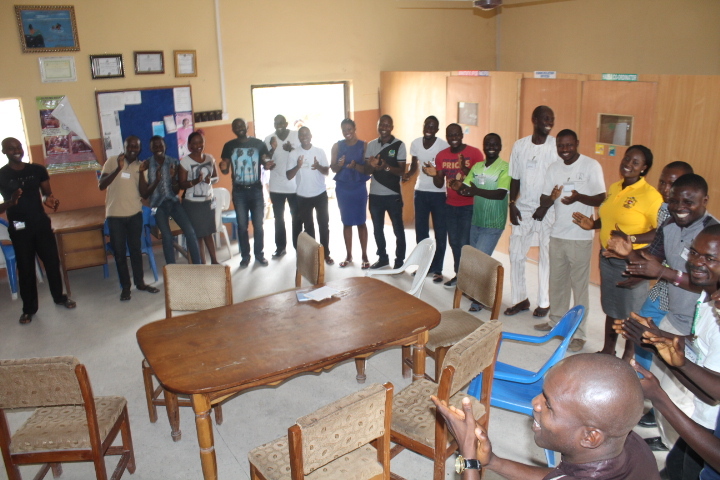 At this juncture, we will want to thank the ITF area Manager Mr. Richard , the entire ITF management , Mrs. Titi Yakubu ( Executive Director of DEC) and the entire staff of Development Exchange Centre (DEC) for their support towards ensuring that we equip the young people of our catchment area through with the needed skills on Enterprenueurship. We look forward to more opportunities ahead.